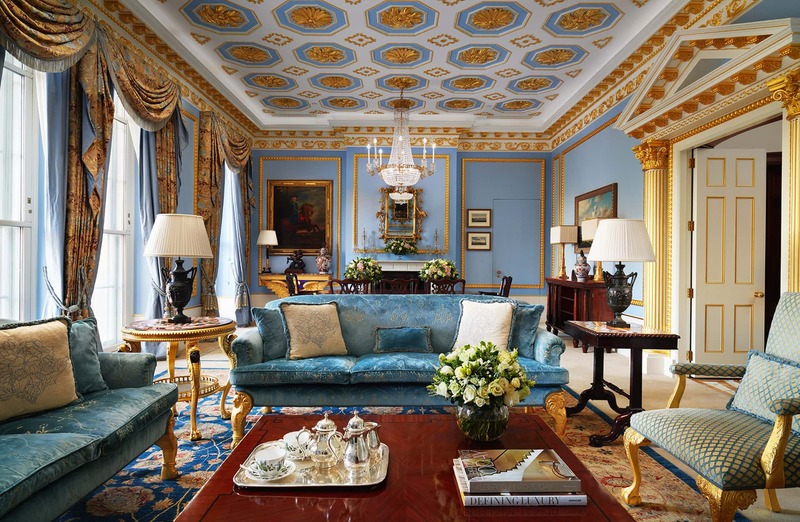 The Lanesborough, close to London’s Hyde Park Corner, is often described as one of the world’s most luxurious hotels. Its interior design reflects the building’s Regency heritage and is combined with the latest technology. Throughout, attention to detail is at the forefront of the guest experience which is why, when it came to lighting for the bedrooms and bespoke chandeliers for the public areas, Dernier & Hamlyn was the natural choice. Reference material from our extensive lighting archive provided inspiration for the classic elegance that Alberto Pinto’s designers were looking to achieve and led to our highly experienced artisans using a wide variety of skills to design and produce a range of truly stunning chandeliers as well as restore existing fittings. Our lighting greets guests as soon as they pass through the hotel’s doors and hangs above their heads as they journey along the majestic corridors and into the bar, private dining room and bedrooms.